Has the Xbox killed the desktop gaming PC? 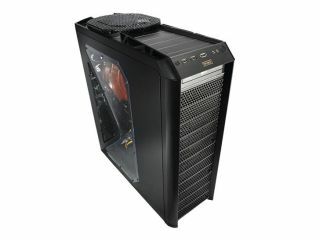 Are gaming PCs being replaced by Xboxes? The all-knowing man on the internet who loudly proclaims that it's game over for the PC doesn't, it transpires, know much at all. Not only is there this sad tendency to declare the PC the Latin of games platforms, but there's also a constant hunt for a smoking gun. Is it Microsoft abandoning it in favour of its own Xbox? Is it piracy? Is it complexity and cost? The key mistake is the confusion of 'change' with 'death'. It seems outlandish to accuse an industry that was worth $10.7billion in 2007 (according to a recent study by the vague-of-purpose PC Gaming Alliance) of being in anything less than rude health. Another report, from research firm John Peddie, suggests that the hardware market is in even better shape than the software market: "From Q3 2005 till Q3 2008, 196 million gaming PCs shipped, and 10 million of them were in the Mainstream Enthusiast class—and if we include mainstream desktop and high-end notebook, we could add another 187 million units—now that really is a lot." The popular presumption is that gaming PCs are ludicrously expensive compared to the current console generation. It's a patent untruth: £250 can buy you a system capable of playing any current game, and one that offers versatility and future-proofing upgradeability any console could only dream of. It is, however, easy to appreciate why so many have presumed the worst. Certainly, standard boxed game sales are down, and there's not been much in terms of bona fide AAA PC exclusives of late. The platform's biggest games turn up on console too; the knee-jerk reaction to this is that the PC is being overlooked, but really it's cause for celebration. We see veteran PC series such as Command & Conquer being blessed with bolstered budgets and quality control that would be impossible were they PC alone. Most of the 360's most interesting titles filter down to PC, whether it's straight away or in a graphically improved form a few months later – as with next week's GTA IV. Far from harming the PC, the 360 has probably done it a favour. The PC now gets the fruits of the other platform's labour as a matter of course. That's not really where PC gaming's vast revenue comes from, however. While the consoles are dabbling with online distribution, the PC is charging towards this bright new, plastic disc-free future at full steam. In 2007, digital sales – think the likes of Steam and Gametap – earned almost $2bn, and 2008's haul is likely to be far bigger still. And that's without factoring the PC's really big movers: World of Warcraft and The Sims. The consoles simply have nothing to compare to the spectacular turnover of the former's subscriptions and the latter's expansions. In addition, the Asian MMO market generates almost as much PC gaming cash as the rest of the world combined. Meanwhile, Microsoft's Xbox 360 console didn't begin to turn a profit until it had been on sale for almost three years. On its initial release, estimates put Microsoft's operating loss on each console at $126 – and that's back when it sold for $399. In recent months, reduced manufacturing costs have finally seen the box start to make a profit, but what a gamble it was. At this stage, a third Xbox may not be guaranteed. Each foray into a new hardware generation sees Microsoft burn a small fortune with the only hope being that the long game will pay off. It's a far cry from the safe fortune of licensing Windows and Office to PCs the world over.